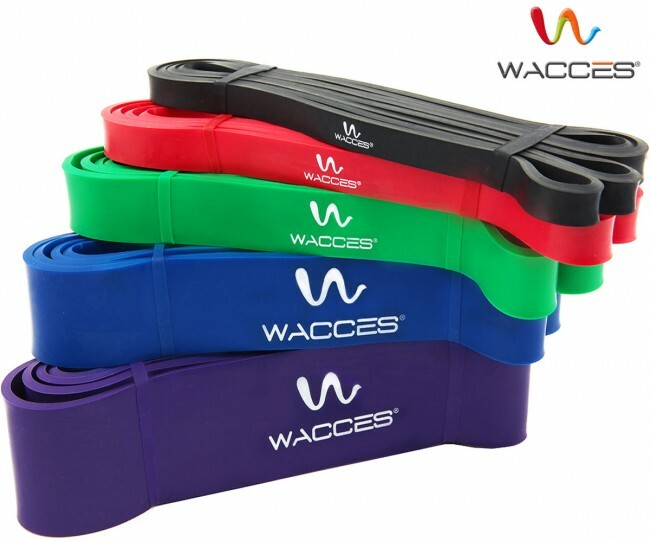 This Body Building Bands advanced resistance band is an ideal portable for gym. The bands are meant to meet different fitness needs. 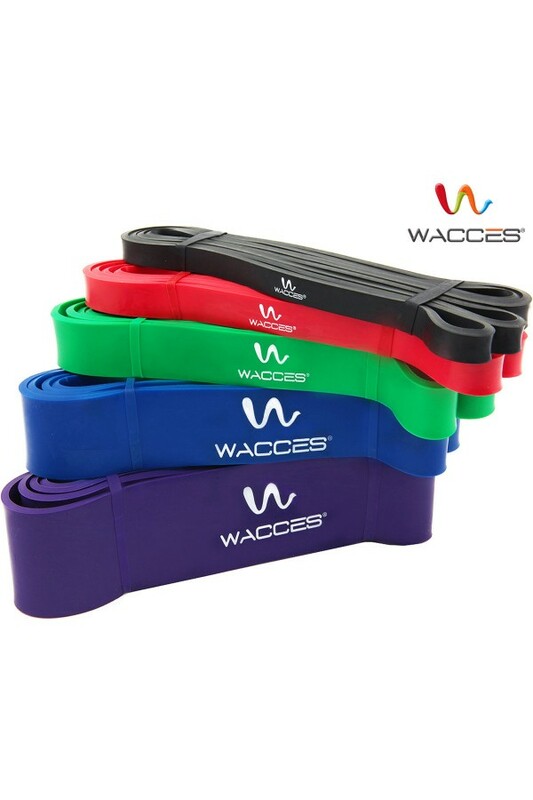 They are suitable for types of trainings such as strength, isometric, resistance, yoga, flexibility, pull up assistance and P90X. 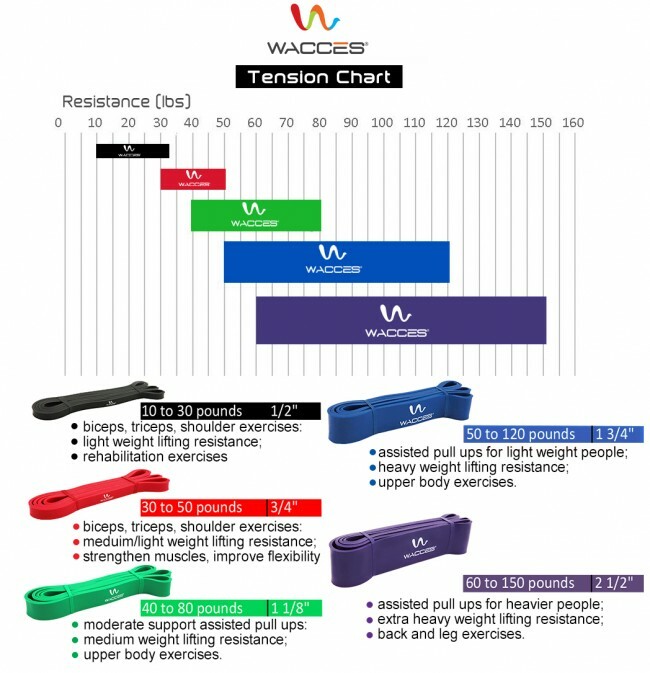 So, whatever, your fitness goal is, you can achieve it with bands for CrossFit resistance band. The bands is available in the same length and circumference. The length is 41 while the circumference is 82. The band is strongly made with natural rubber latex. 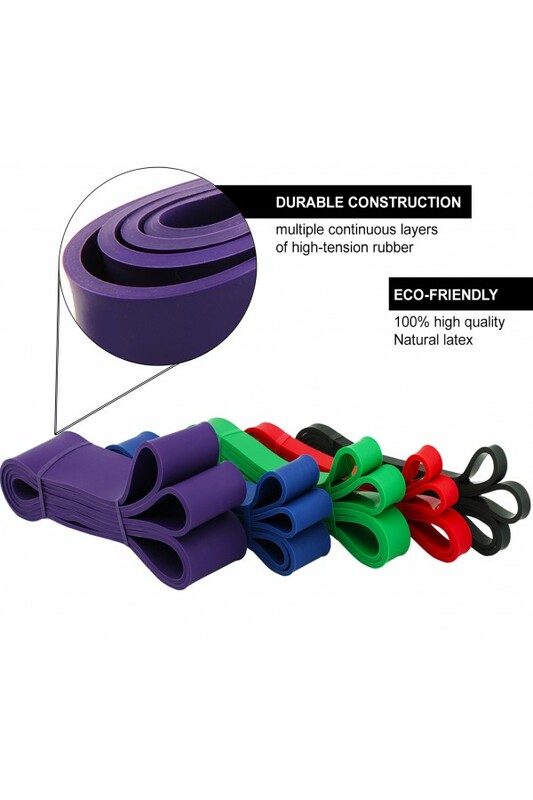 Owing to the continuous layering of rubber sheets of latex, the band come with amazing strength and durability. You can use them for many years and they will not lose their elasticity and strength. 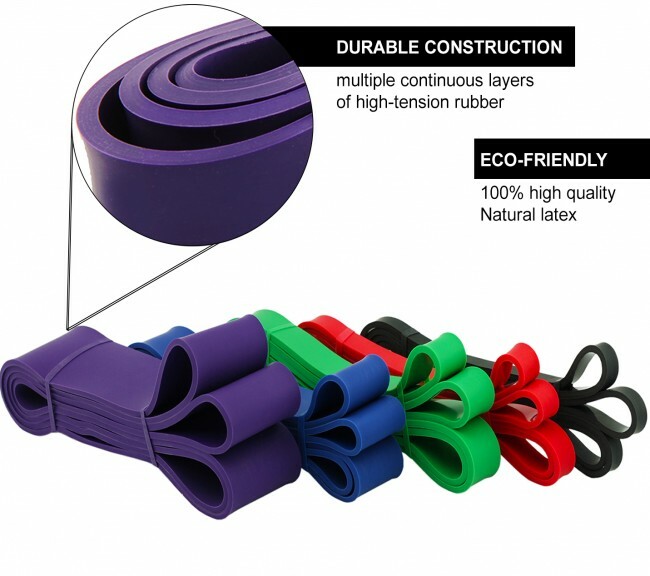 They beat molded bands in performance, strength and durability. 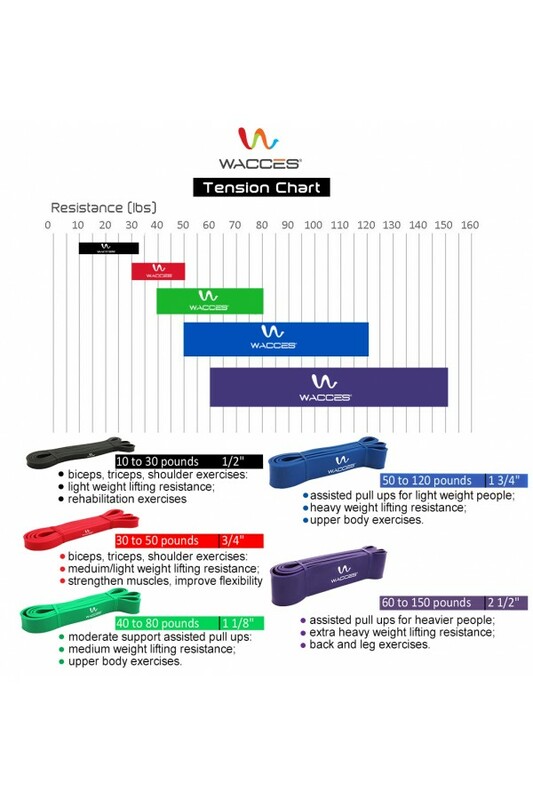 This Body Building Resistance bands are versatile exercise bands. Since they are available in different resistance levels, they can be used by any sport enthusiast or athlete of any fitness level. Beginners will find the bands useful. Intermediates and advanced athletes that want to engage in more challenging workout using the resistance can also use them. The bands is good addition to any person’s home gym. However, they can also be used outside the home. They are very portable and resilient and so can easily be carried along by athletes on the go. They can also be used in the office by individuals that will like to do some exercises during their free time in the office. BLACK BAND ( 10-35 lb - Low ) 41" L * 0.5" H * 0.25" W.
RED BAND ( 30-35 lb - Medium ) 41" L * 0.75" H * 0.25" W.
GREEN BAND ( 40-80 lb - Heavy ) 41" L * 1.25" H * 0.25" W.
BLUE BAND ( 50-120 lb - Power ) 41" L * 1.75" H * 0.25" W.
PURPLE BAND ( 60-150 lb - Strong ) 41" L * 2.5" H * 0.25"W.
Thick, extra strong and ideal for heavy duty use. Helps to prevent and rehabilitate sprained ankles. Works the lower leg muscles.